Some people have a heightened chemical sensitivity to chlorine. For these folks, swimming in a recently chlorinated pool can create skin or lung irritation that makes their swimming experience not so pleasant. At Daigle Servicing Company, we understand the drawbacks of having a chlorine-based sanitizer. That is why we are happy to work with our customers and provide them with a saline system for the in-ground pools we install. In addition, we can often retrofit an existing pool to have a salt water system. Although many people refer them as salt water pools, it is still technically a chlorine pool. It is the salt that produces the chlorine naturally which clarifies the water. Perhaps the greatest benefit of a salt water based chlorinating system is the precision in which it performs its chlorinating duties. You can operate a salt water pool with the absolute lowest residual amount of chlorine in the water. The salt-based system will continually deliver pure chlorine-based sanitizer, helping to reduce the health issues that some experience with a traditional chlorinated pool system. The salt chlorination method is also known for delivering super soft water that is gentle on the skin, clothing and toys. It also does not contain the strong odor that regular chlorine is known for. Another benefit of salt chlorination is the price. While upgrading from a standard pool filtration to a salt system adds an initial installation cost, we have found that a salt water system upgrade will easily pay for itself over time. The average pool owner can realize savings as much as $600 a year on traditional maintenance products alone! For those whose health is adversely affected by traditional chlorine pools, the initial cost to upgrade is not typically a factor. Salt water filtration systems are also extremely convenient. 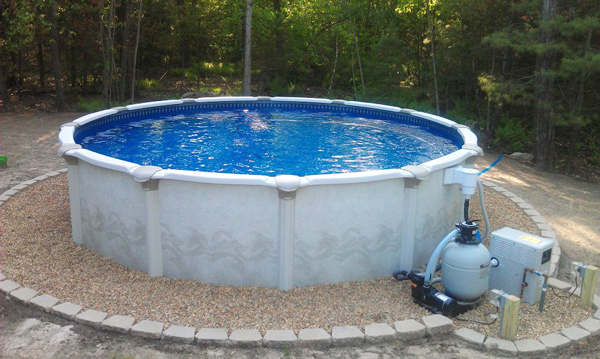 No more lugging buckets of pool chlorine or water clarifiers. While the pH still needs to be balanced in a salt-chlorinated pool, the salt will act as a natural algaestat. The salt water system will automatically keep the water at the ideal level of cleanliness, which takes the guess work out of how much chlorine to add. The only real downsides to the salt filtration system are the initial cost of setting it up, as well as the cost to replace cells in the system. Salt is naturally corrosive and it can damage metals and other substances over time. 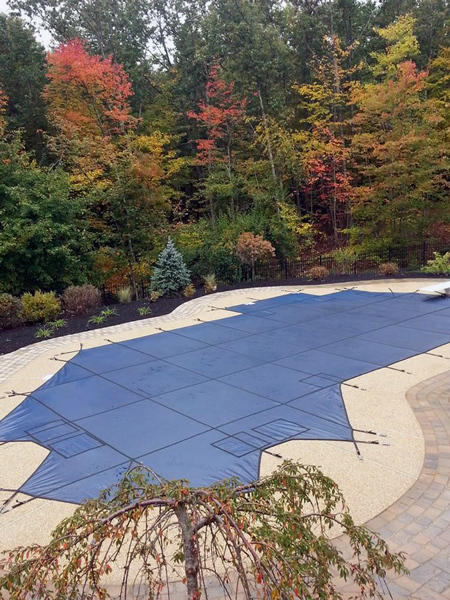 However, since the perfect saline concentration for a salt water pool is extremely low—less than 3,500 ppm, or about 10 times less than ocean water—equipment that is properly installed and maintained should not be damaged. Daigle Servicing Company is an Authorized Goldline Repair Center and Hayward Dealer. We are always ready and willing to discuss salt chlorination options with pool owners—whether it’s a new pool yet to be installed, or one that was installed some time ago.